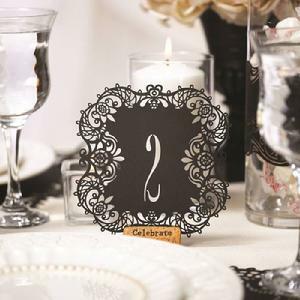 Black, 146#T paper table number cards, laser cut numbers. 5 1/2" square. Cork card holder sold separately. 29972 - "Celebrate" Cork Card Holder. Resin, 2" x 3/4". Set of 6.